Thank you to everyone who supported this year's event. ​We raised over $138,000 in support of our mission to end homelessness, one person at a time. Learn more about our keynote speakers. 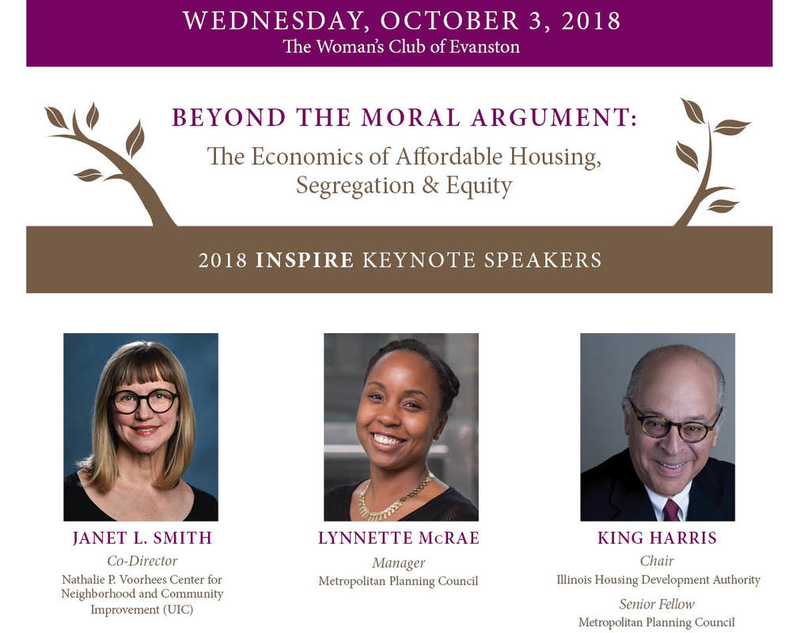 Together, our three speakers will explore the intersectionality of socio-economic inequity, racial segregation, and the lack of affordable housing. Join us to learn how these issues economically impact the community at-large, and how they perpetuate each other as a result of current community development policies and practices. Our presenters will also discuss how comprehensive, regional approaches to community planning have the most promise of creating equitable, integrated communities that provide all residents with housing choices and increase the prosperity of the community as a whole. How can municipalities work collaboratively to create equity and choice throughout a region? What can municipalities do now to prepare for regional collaboration in the future?